Ms. Bijaylaxmi Sarangi opens the doors to readers interested in the arts and exposes the fallacy that art for art’s sake is created only by and for the artists and that artists are a mad bunch. There’s nothing mad about Ms. Sarangi except her openness to the life of art starting in her home and her dreams and their metaphysical explanations. The problem with much of modern art is that it is made by artists for artists and excludes the general public by being if not pretentious then at least arcane and it is mostly through the explanations by critics that the public and the artist understands their own artwork. It now takes volumes to explain the squiggles on a canvas that is if the canvas itself is not a blank. Vayavya asked of Bijaylaxmi Sarangi some questions that she graciously expanded. Vayavya: So, may I ask where in India you reside? I understand the separations are so vast that literally cultures and languages change from one geographic zone to another. What always amazed me is that English is the unifying common language. It is a unique sociological feat similar to art that unifies us all. Sarangi: I write poems both in English and my mother tongue Oriya pronounced as and nowadays written as Odia. I second with your view that an artist is an artist in many fields. One art is an extension of another. In addition, I feel an artist is a poet, thinker, philosopher and they support one another. Recently I have felt a reader, an audience or an onlooker is also an artist, poet, writer and so on. So though I am not totally a professional in these fields, when someone endows me with the title of poet or artist, I do respect the appellation. "An irreversible under current" runs in every sensible and creative person regardless of the quantity or quality of materialization. They live in a different time zone, in a different world and broader ambit of perception. This must be true for all the creative persons around the world irrespective of language, race, country and so on. Yes, English is the common unifying language, and still there is much more subtler, inexplicable forms of language, I mean to say that under-current of a creative person is binding the globe from time immemorial. Recently while visiting an art exhibition in a local fair in my town Cuttack, pronounced "Kataka" meaning "An important city" I was looking at a piece of art for quite some time, when the artist came and greeted me. He said that I was looking at his art so keenly, that he was very glad. I replied, that I feel a strange energy flowing from your art. Often it feels artists’ art imparts energy and renders a vibe of freedom, freedom of the clutched feelings of both the artist and the onlooker. Art or literature is a process of self-discovery. Vayavya: My interest in regards your art lies in its inspirational ramifications. What artists inspire them? Does your poetry influence your art and vice versa? The lion piece seems to be from a dream. I am interested in your opinion about it and also the other two. What do you think of the direction of art in India? Do you follow certain artists? If so which are they? Are they mostly from India or elsewhere? Some artist appear and like shooting stars disappear! Sarangi: I second you on this view. It's your keen observation on the trend of human creativity and their acceptance over time. Time creates and adores many creative persons for their works of excellence during their lives. Time also is capable of negating their same work after a little stride as outdated and irrelevant. Time sometimes plays peculiar game by dragging the hands of poets, artists from their graves to make raise them high with honor as the creator of classics. I ponder on posthumous awards, nothing is permanent, and this is true. But a truthful voice gets incarnations in different hearts and minds for ages together. It's perhaps the eternity in the form of classics. Vayavya: Does your poetry influence your art and vice versa? The lion piece seems to be from a dream. Is it? Do you follow certain artists? If so which are they? Are they mostly from India or elsewhere? What do you think about folk art also called naïve art, brut art? Sarangi: The beauty about folk art is that those reflect the simplicity of rural and tribal people. In Odisha our coastal state I have come across many forms of folk arts namely Pattachitra- that includes traditional canvas art, temple murals and palm leaf art, Saura art A tribal form of art rendered by a tribal sect called Sabara of Ramayana fame and I am specifically interested in Jhoti, otherwise known as Alpana, a household form of simple art usually done on festive and religious occasions. But it has not got the status of art. I love fusion. See, I have limited idea but great artistic wonders of the world must be result of fusion of one or more culture. As you have mentioned, and I do agree, fusion of ethnic art with modern concepts is a great thing. 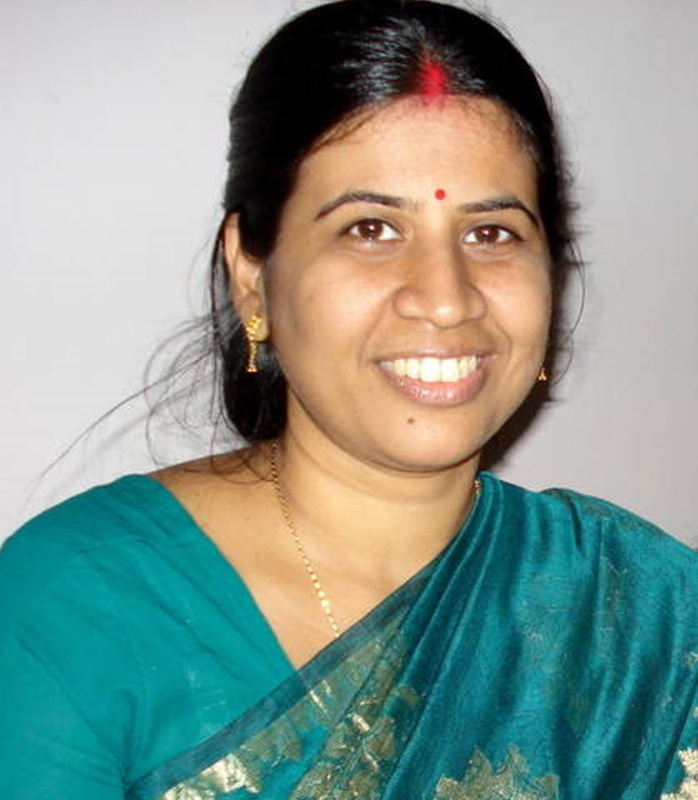 Vayavya: Bijaylaxmi, you are a treasure of information. Dealing with India is like dealing with countries within countries within countries. Over 1.1 billion people and growing is hardly imaginable how one can keep it all together. I saw your Jhoti & Padmaa & other work. Very impressive display! I appreciate the geometric intricacies of each design and wonder if they are copied patterns from historical samples or you develop them as you go along? Sarangi: Actually these are part of a folk art that uses symbols and patterns. Yes I do all the Jhoti in my blog. It takes an hour or so to complete one on the floor. Like sand art it's very much temporary. Even more short living than sand art. But I do respect the temporality that is essence of life. A butterfly, a tiny flower .... how they soothe our heart irrespective of their temporality on earth! It's a folk art practiced by women mostly, that a daughter learns from mother or grandmother while participating in home festivals and auspicious occasions. I have never read or heard the meaning of various patterns of Jhoti it usually comes from the mind. But gradually after doing so many, I realized that it's an art and has palpable meanings. First of all the circular patterns are representative of repetition, motion, action and advancement. Other shapes lotus, leaf, tingles, ovals, bulk of rice, flag, elephant, coconut etc carry different meanings and mood of the artist. Though I have not tried seriously, have firm believe that like other forms of art it can also present some hidden feelings of the artist through specific symbols, geometric pattern, flow and shape. Glad getting to know your versatility in art. This is really great. I have no idea about 3-D assembly. As you said, once the mysterious is portrayed it ceases to be mysterious. Mystery-I mean spiritual only- could be something felt some way but capable of being defined in numerous ways! A few months ago, once while interacting with a very renowned poet here in Odisha, the esteemed poet said that all his poems are like magic realism. Then I couldn't make out from his words what magic realism is all about! Later I knew it is a trend of art. But now I understand, poetry is portraiture with words, picture with colours. Both are capable of presenting mysticism through their immensely profound ways. Paintings are visual poetry! So the esteemed poet uses "magic realism" in poetry. visuals appear to him while meditating. The artist presents only less than 50% of his visualizations on canvas. I asked why not mirror the entire visual, he replied this is just like presenting the inexplicable through colours! Vedic art I like very much, because it is transformation and elevation of the soul of the artist. Vayavya: By the way your daughter presents you as parents in a very charming way. It was so cute how she introduced her portrait of you... you can tell her it was perfect & she has shown you under the best auspicious limelight. How about yourself? What are your plans besides raising the family and fulfilling the natural requirements? Are you a member of a local poetry and art group? Do you devote much time to writing? Sarangi: I showed your mail to my daughter. She felt very high after getting praises from you about her pictures. She has thanked you a lot. And after reading your mail immediately ran to produce one or two masterpieces from her fertile mind. I will share her recent sketches. She is a bit fickle and a kid, so I have not thought seriously about her art education. She has more interest in music so we took her to music class to learn "Hindustani Classical". It was also one of my dreams when I was a kid. Then also lately I realized that a "rolling stone gathers no moss". Actually in my past 10-15 yrs ago I was teaching economics to college students. At that time I had two very good friends. One among them was a sculpture artist, and another one was my childhood friend. We were a team of like-minded frolicking kids who occasionally discussed books, philosophy, art, music, cinema and spiritualism. Then I decided not to keep a goal in life and to do what heart prompts for. And my heart prompted to get married. And I did so. After some days I realized that prompting of heart would not necessarily be always flowery. That was a complete transformation life endowed ... a difficult transformation of a frolicking, carefree and easygoing girl to a careful, calm and poised wife, daughter-in law and later mother. I cherished for everything that I had interest in past ranging from music, art, and photography to spiritualism and philosophy. Then I learnt computer by my own. Started a literary magazine online. Reinvented my knack for poetry, photography, art and spiritualism. I have deleted music from the list of my interest for now and wish to get it fulfilled through my daughter's voice. About my current projects I started editing a book on Yoga of a spiritual person and doing a poetry project to make an anthology of 100 poems for publishing. And to begin with I have 8 dreams to present like a surrealist. Vayavya: Ah! And now you have 8 dreams to illustrate! Wow, this is formidable! You know I say that talking is not enough it’s the doing that gets the doing done! So let’s all go create more art!